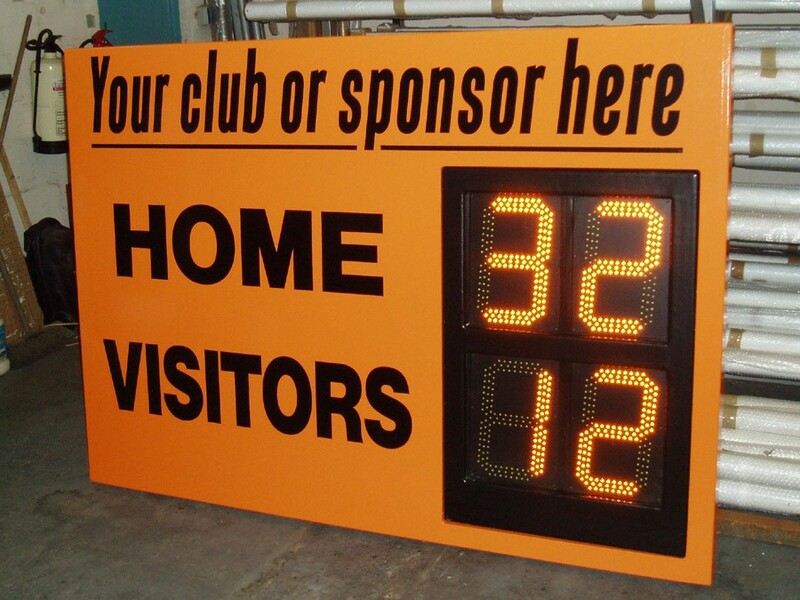 This electronic scoreboard brings hockey scoring right up to date at an affordable price. Digits are high quality ultra bright amber LEDs 305mm (12") high. They are set in a weatherproof fibreglass housing with shatter-proof clear polycarbon glazing protecting the face. An extremely easy to use handheld radio controlled console allows operation from up to 170m from the scoreboard. Scores up to 99 for each team. This scoreboard is designed to run on mains electricity supply which must be available at the site of the scoreboard itself. If you are considering running the scoreboard via battery you will need to purchase a suitable invertor, which is an optional extra and which you must specify at time of order. 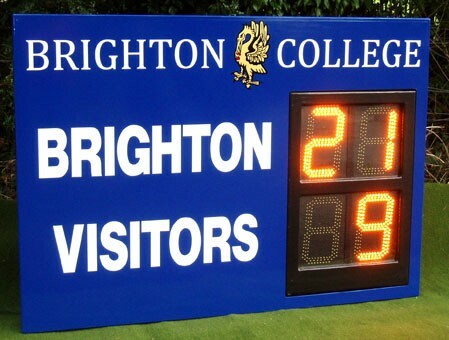 We can supply scoreboards to suit school, college or club colours and the basic boards come complete with lettering for "Home" and "Visitors"
As manufacturers we can customise scoreboards with logos, club or school titles or sponsors details - discuss your special needs with us to receive appropriate prices. The orange board illustrated gives an idea of a standard board. 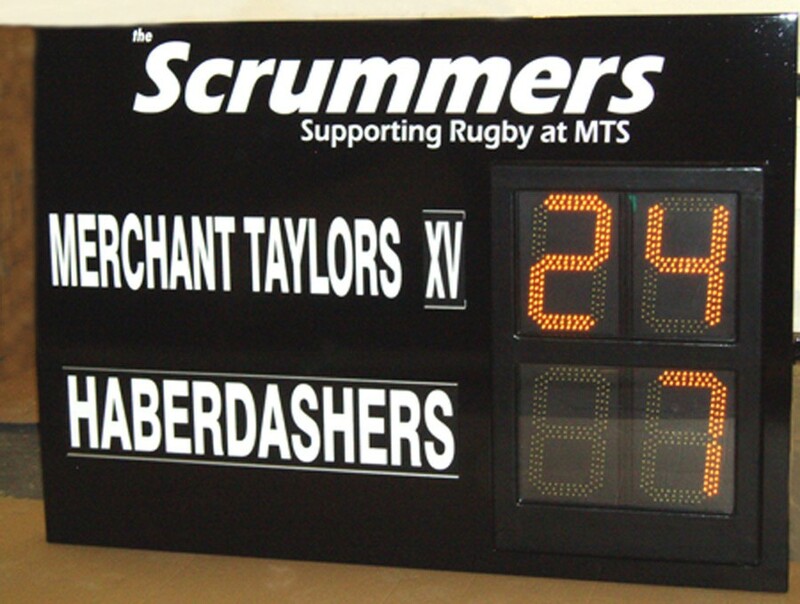 Also illustrated are customised scoreboards. You will need to consider fixings for this scoreboard, eg walls, stands etc. We can supply galvanised steel legs and sockets or, depending on requirements, steel wall brackets.